The election of the Speaker of the National Assembly was the first litmus test for the MPs. Three MPs competed for that position including the former Speaker Marzouq Al-Ghanim, MP Abdullah Al-Roumi and the MP Shuaib Al-Muwaizri and former Speaker won the contest for the second consecutive time. Actually there is nothing new about this traditional process; however the important aspect of the contest was that a majority of the MPs preferred Al-Ghanim over Al- Muwaizri. To make it clear, during the election campaigning many citizens had shown their anger at the dissolved Parliament and many MPs had said they will not vote for Al-Ghanim as a form of protest against the performance of the dissolved parliament for the sake of gaining popularity and more publicity. In the midst of the heated election atmosphere, Al-Muwaizri declared he will contest for the position of the Speaker of Parliament. Of course the attack was not directed at the person of Al-Ghanim. It was actually directed at the performance of the Parliament Speaker. Personally speaking, Marzouq Al-Ghanim is one of the most outstanding parliamentary personalities in recent years. He also has got a large base of thousands of supporters. After the end of the elections, a meeting was held at the Diwan of an MP which was attended by 26 MPs and all agreed to give their views on Abdullah Al-Roumi and Shuaib Al-Muwaizri. The difficulty in reaching a solution was crystal clear. However, most of the 26 MPs seemed to vote in favor of Muwaizri. But after the opening session ended the votes were counted, everybody was shocked because Al-Ghanim had swept the elections. It was a huge success. After the disclosure of the results everyone recounted what was once said by Ma’arouf Al-Rasafi who said, ‘People in secret are not what they are in public’. It was amazing, 13 MPs announced in the social media that they had voted for Muwaizri while in fact he polled only eight votes. Al-Ghanim won a position he deserved and as we congratulate him we wish him the best in this difficult mission. 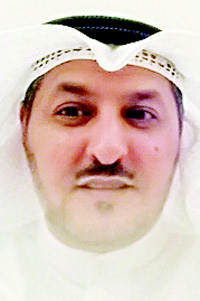 Although Shuaib Al-Muwaizri did not win the position, he was not defeated. To the contrary he won thousands of hearts of the citizens who praised his pure parliamentary history. At the same time he removed the mask from the faces of some MPs who say something behind closed doors and something else in public. We thank Shuaib Al-Muwaizri very much.